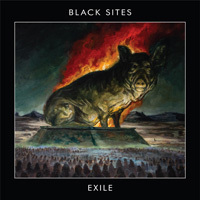 Perhaps the best way to describe the Black Sites metal sound is simply, guitar-driven heavy progressive metal. 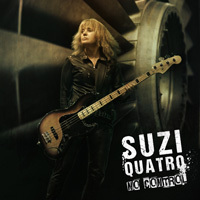 Riffs, guitar harmony, and thrilling leads fill every song. 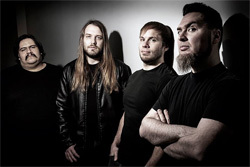 Underneath a sturdy bass and drum line provide plenty of heavy rhythm, groove and, often, some power metal like gallop. All these things are wrapped up in lightly complex, yet always intriguing, arrangements that keep your mind and ears engaged. On to some song highlights then. For an abundance of guitar intrigue in the arrangement, listen to The Night They Came For You, To The Fire, or Prolonging. The latter is a good example of Black Sites' power in the groove of their rhythm section. Mostly it's a rock groove with some gallop in a song, like To The Fire, but within parts of The Night They Came For You it almost seemed funky. Something like Dream Long Dead turns on an abundance of riffs, but the drums are also epic and thundering for some straight up guitar heavy/power metal. With Focused Totality/The Psychic Knife you get a flurry of anxious drums before developing into some power metal gallop. But then the riffs get thick and sharp, and the rhythm section starts flipping between modest and quick pacing. In the second part, The Psychic Knife, the arrangement breaks down to acoustic guitar with electric leads. Nice. All in all, Black Sites' Exile is some quite powerful and engaging heavy progressive metal. If you can't find something here to both entertain and inspire your listening ear, you're probably too old to rock n roll. Recommended.